Credit card colour comparison: What’s the difference? What does the colour of your credit card mean? While the days of a strictly defined card hierarchy are somewhat behind us, the different colours still exist to give you a general idea of the card’s credit limit and rewards features list. Silver and, less commonly, Gold cards will usually be your middle of the road cards. They may be more prestigious than the bank’s standard card, but they fall well short of the upper echelons of the credit card world: Platinum, Black, Diamond and higher. Let’s take a closer look at the various cards on offer. What’s the difference between Silver and Gold credit cards? Gold and Silver cards used to be the highest level of prestige for rewards credit cards. But no longer – these days, the difference between Silver and Gold credit cards is not as large as it used to be, in terms of expected features or prestige. Consumers no longer need an outrageous annual income – depending on your perspective – in order to be eligible to apply for a Gold credit card. A Gold card will often come with travel insurance or something similar to set it apart from the Silver card, if the issuer offers both types. So while Gold and Silver cards are harder to define these days, we can see that a Gold card will usually be the same as the Silver card, but with a few additional features tacked on. If you’re looking at a Gold or a Silver card for yourself, make sure to read all of the fine print in regard to features and fees. It will typically have a high interest rate, reflecting the fact that it is designed for a card holder with a high income who can afford to pay their closing balance in full each month. Airpoint lounge passes: access to the slightly cushier areas of certain airports. However, platinum cards still have a few drawbacks – the bank isn’t giving you all of those features for nothing! 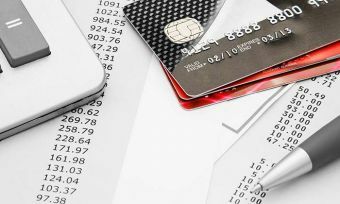 Platinum cards come with much higher annual fees and higher interest rates, and those higher interest rates can be a real killer for your credit rating if you let your spending get away from you. They also come with much higher minimum credit limits. While a standard card such as a Low Fee or Low Rate credit card can have a minimum credit limit as low as $500, some Platinum cards have six-digit credit limits, and some have no credit limit at all. While you won’t necessarily spend a cool $30k every billing cycle, the temptation is there and it could be dangerous. The other drawback to Platinum cards is that they generally come with income requirements, as the banks aren’t in the habit of extending premium services to someone who only spends a limited amount with them. At the end of the day, Platinum cards are a double-edged sword. 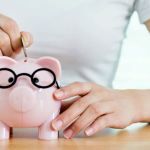 They come with a wide range of perks and benefits, but even if your spending habits are immaculate and you don’t pay credit card interest on a single transaction, you’re still looking at hefty annual fees in order to cover those benefits and the rewards program. Weigh up the pros and cons carefully before applying for a Platinum card. 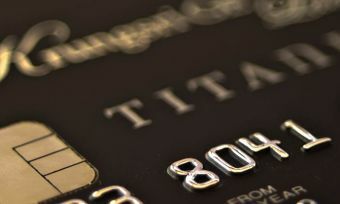 What’s the difference between Platinum and Titanium credit cards? At this stage, it looks like there is no practical difference. 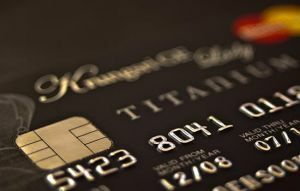 Providers with a Titanium credit card usually offer these cards as the step above Platinum cards, with a higher credit limit in the hundreds of thousands of dollars. American Express was the first lender to offer a Titanium credit card, and it was only available for certain cardholders by invitation. This card is no longer on offer from AMEX. What’s the difference between Black and Diamond credit cards? 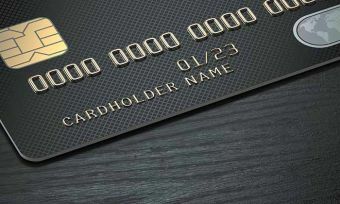 Setting aside exclusive invite-only cards like the American Express Centurion card, these are the most prestigious (and pricey) credit cards available to consumers. 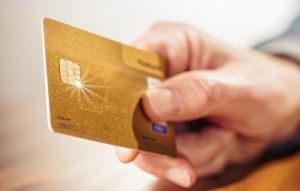 When it comes to these cards, take everything we said above about the benefits – and the costs – of Platinum cards, and multiply it exponentially. The earn rates for rewards points on Black cards and Diamond cards are uniformly incredible, and the flexibility with which you can redeem said points is unequalled. The features offered by cards of this calibre are also pretty incredible – everything you’d get with a Platinum card and more. With membership to exclusive clubs and programs and a next-level concierge service, you would certainly be living the high life if you could afford to pay for one of these cards. The benefits aren’t the only things that get ramped up with a black or a diamond card. The annual fees are monstrous compared to other cards. 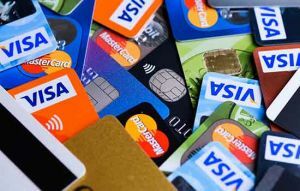 The interest rates are generally similar to those attached to Platinum cards, usually clocking in at over 20% p.a..
For these cards, the same general advice applies as for Platinum cards: nobody should apply for them lightly! Even if you’re confident you could afford a black or a diamond card, that doesn’t mean you have to. Give it some long and hard thought. Do you need an expensive credit card? Look, we know as well as anyone that the idea of having a Gold, Platinum, or even a Black card in your wallet is an alluring one. But unless you’re quite wealthy and plan on racking up rewards points like it’s nobody’s business, a credit card is still just a wealth management tool. And so we’d ask, what’s wrong with a standard card? Much lower annual fees, lower interest rates, and less points-earning stress overall sounds great to us! What is a titanium credit card & is it worth it?